As a member of the Parkland Regional Library System, Bawlf Public Library serves residents in the Village of Bawlf, Village of Rosalind and surrounding Camrose County. We offer access to books, DVDs, eBooks, magazines, second-language learning opportunities and endless resources from across Alberta through interlibrary loans. Other popular service offerings include large print books, free internet access, as well as children’s programming and workshops for adults. For more information, call (780) 373-3882, visit http://bawlflibrary.prl.ab.ca, email bawlflibrary@prl.ab.ca or follow us on Twitter. 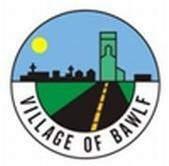 Monday, Wednesday and Friday - 10 a.m. to 5 p.m.
Thursday - 3 p.m. to 7 p.m.
A non-profit society committed to the advancement of literacy in the Village of Bawlf and area. For more information, call (780) 373-3882.